O’Brien’s forge was situated between Dooley’s house and Lyon’s house of to-day. 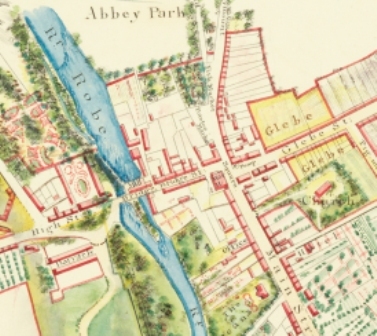 Joyce’s forge was situated opposite where Joseph & Winifred Joyce’s house now stands. During the years of compulsory tillage the blacksmith’s services were required by every farmer, whether it was shoeing horses, making and repairing ploughs; he made iron gates, spades shovels, bolts and screws. Both forges were situated beside the road. Passers by would call in for a chat, others with some work for the smith. 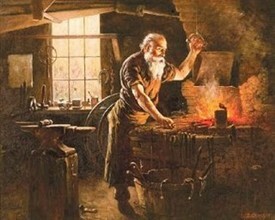 Sadly the blacksmith is no longer required. That's correct. It was situated in front of where Tom Butlers house is. 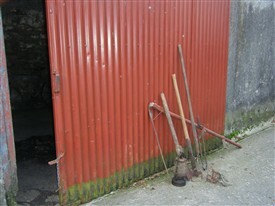 There was also a forge on the Ballinrobe Road in the town land of Ballymartin, of which Murty Gibbons was proprieter. It was possibly where Tom Butler's house is now?